This past week, I started my internship at the Conflict Kitchen in Pittsburgh, PA. 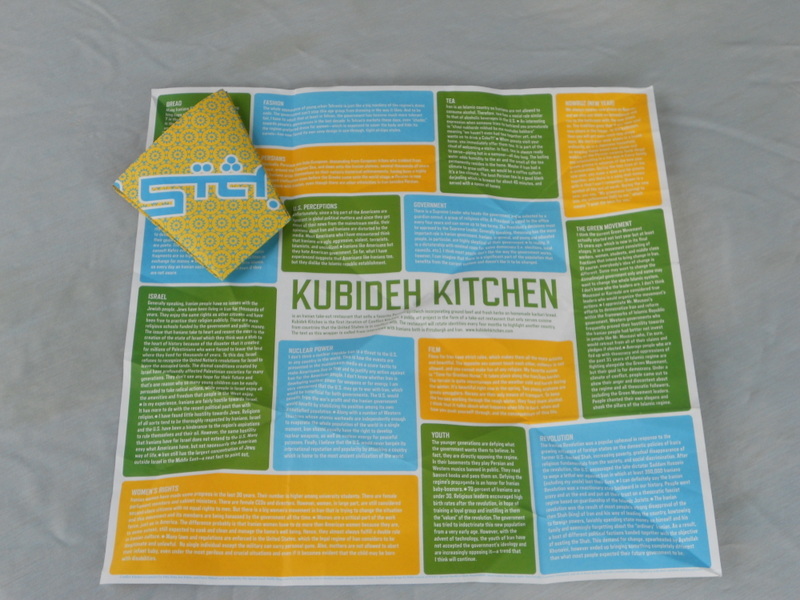 Founded in 2010, it is a take-out restaurant that features countries with which the United States is in conflict, serving food and hosting cultural and education events. They seek to encourage dialogue and learning in order to move past the unhealthy and polarizing discourse surrounding these countries in the United States. While working for the Conflict Kitchen, I will be doing mostly research for their upcoming iterations and event-planning. I will also be working at the take-out window, where the majority of the dialogue and education takes place. As a native of Pittsburgh, I discovered the Conflict Kitchen two summers ago. Its mission deeply resonated with me. Being truly passionate about dialogue and dispelling prejudices through the arts and finding myself ready to more professionally explore the facilitation of cultural learning, I contacted the directors with the possibility of an internship. After an interview and a discussion of our mutual goals, they offered me a position of mainly research and event-planning. To begin my training and get acquainted with the daily work of the project, I worked in the kitchen this week. 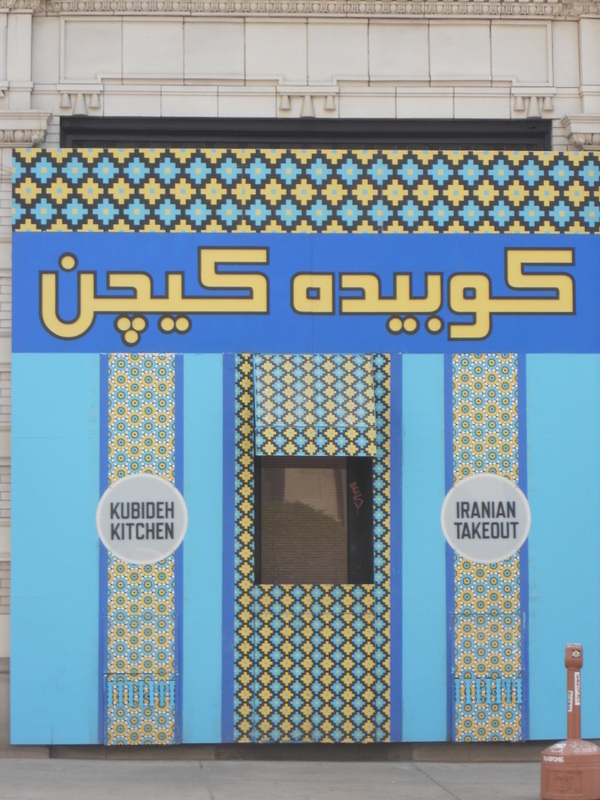 Based on the recent news surrounding the United States and Iran, the Conflict Kitchen switched to their Iranian menu. I learned how to make the Iranian food and stepped into the window a few times to interact with the customers. People come to the Conflict Kitchen with varying levels of knowledge and opinions of Iran, its culture and its relationship with the United States. It is fascinating to see their reactions to the food as well as to the interviews with Iranians featured on the wrapper in which the food is served. The most interesting encounters are with those customers who have simply stumbled on the Conflict Kitchen and know nothing of its mission but are open to it. This is when most of the education and tearing down walls takes place. This week, the Conflict Kitchen also hosted an event with the World Affairs Council of Pittsburgh. Dr. Trita Parsi, Founder and President of the National Iranian American Council and author of A Single Roll of the Dice: Obama’s Diplomacy with Iran, came to speak about his book and the US’ diplomatic relationship with Iran. It was a truly fascinating talk and conversation stemming from the audience’s questions. This was certainly a highlight of the week, building an excitement to be a part of this process at the Conflict Kitchen. Looking towards the rest of the summer, I look forward to learning how to facilitate cultural learning specifically in order to dispel prejudices. This will be achieved through engaging dialogue and challenging events. I will also be able to develop further research skills as I help them prepare for upcoming iterations with interviews and conversation with Cuban and Korean communities in the Pittsburgh area. I look forward to all that I will learn about peace-building through the arts and culture working with the Conflict Kitchen.